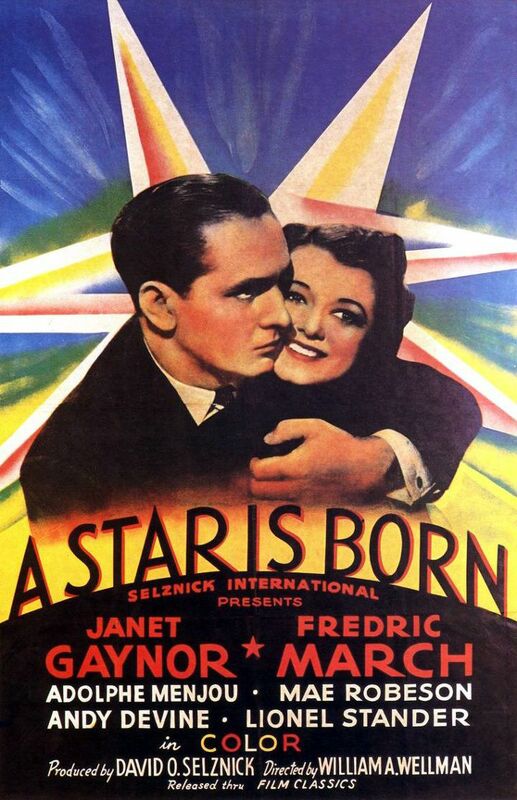 It’s time to look at the original version of A Star is Born. It’s definitely a title that I’m sure just about everyone is familiar with thanks to all of the remakes. Does it really hold up to such an illustrious legacy though? It’s not a bad film, but the second half does ultimately end up hurting the movie. It’s an ending that isn’t particularly great and one character is pretty annoying the whole time. The film starts off with a girl named Esther expressing her desire to be an actress. Her family almost literally laughs her out of the house so her grandmother tells her to pursue her dreams. Esther heads on the train to Hollywood and gets ready to be famous. The problem is that there are a lot of other people who want to be famous and so she has hit a dead end. She meets a guy named Danny who has some connections, but instead of a part in the picture she is relegated to maid service. Still, this works out as she is noticed by washed up actor Norman who still has a lot of influence within the company. He’s happy to help her get famous so that they can get married, but when she begins to exceed his popularity can he handle the pressure? One thing I’ve noticed about a lot of the old school male leads is that most of them seem to be really insecure. The instant that the heroine passes them they start getting really whiny and petty. Unfortunately Norman is no exception. He crashes her party and sulks for the majority of the movie. It’s easy to forget that they’re together at times. I’d give him credit for retiring and all, but he then starts to get into fights and tarnishes her reputation. He even gets thrown into the asylum for his antics. Sure, Norman’s over the hill, but he was famous for a while so you’d think that he could at least enjoy that part. Of course, how famous he ever was is probably debatable since nobody seems to even know the poor guy. Esther is certainly a much better character. Her only weakness is that she gets emotional very quickly as she cries if you insult her. Fortunately I’d say that showbiz went well for her and has toughened her up by the end. She is able to put up a strong front and her talent was shown to be the real deal. 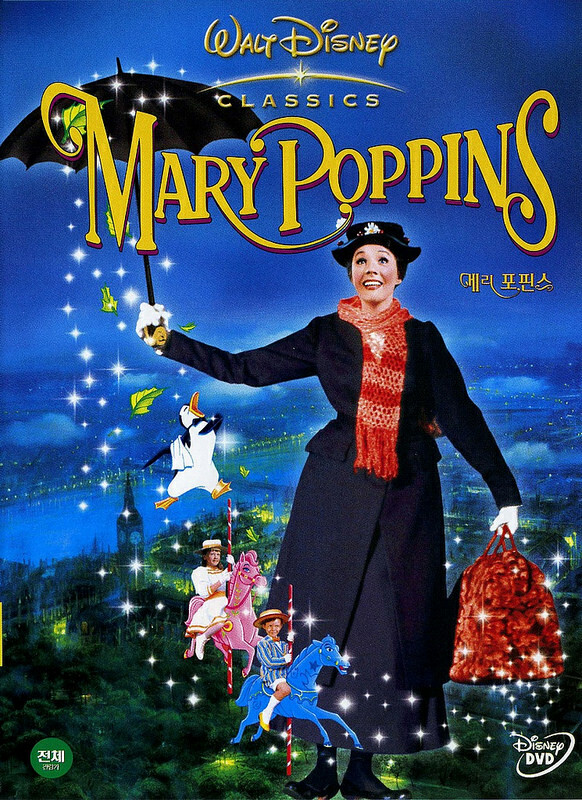 She didn’t just go to Hollywood, she excelled while she was there. It’s also good that her granny was around to keep her on the right track as she almost made a big mistake at the end of the film. So, Esther was solid, but I think if she was less emotional then she would have been even better. Meanwhile we have Danny, who was an interesting character. His voice is incredibly memorable so odds are that it is the part about him that you will remember the most. I’m not sure if it was intentionally humorous or not, but it did make him fun. His first scene was a bit rough though as he starts yelling as Esther for no reason. That scene probably could have been cut out since it makes absolutely no sense. He pretty much gets written out once Norman shows up though. Norman’s pr agent makes for an intense, albeit mean spirited character. He’s good at his job and he can even fight so you can’t ask for much more than that. Meanwhile the owner of the company is a nice enough guy. He kept trying to help Norman even when the actor made that difficult. As for the ending, while it was unexpected I can’t say that it was good. If anything it just makes Norman look a whole lot worse than he was looking already. Rather than accept the new status quo and turn his act together he figures that it’s time for desperate measures. His answer is never the proper answer to anything. It’s just a way to escape a problem, not a way to solve one. I wonder if the newer films will switch that ending. I hope they do since it will definitely help the character be a little more redeemable. As for the writing, it’s pretty solid for the most part. When the film attempts some humor scenes they tend to work well like Norman’s beer with a touch of soda gag. The romance isn’t handled quite as well as it’s hard to take Norman seriously since it seems like he typically likes flirting with everyone. It doesn’t make him look all that genuine but I suppose we can give him the benefit of the doubt. Esther just seems a little too trusting and quick to romance as well. Given that her goal is to be the best, I feel like romance would just be a big distraction for her. Ah well. The film’s pacing is pretty solid and although the film is fairly long it never drags on which is always important. Overall, A Star is Born is a reasonable film. I wouldn’t call it amazing, but it was passable. The idea of someone walking into Hollywood and then rising to the top is a classic, but consistent premise. If executed well it makes for a nice, uplifting story. If it’s cashed in then it ends up being super cheesy and you wonder what happened to the other actors for them to all be surpassed in such a short amount of time. I’ll probably see the remakes soon and I get the feeling that they may have the edge this time, but if you haven’t seen the original it’s probably worth checking out. It is a classic after all. It’s time to look at a really old British film that hit the big time. You have to keep in mind its origin for the court scenes to make sense at the end since they bring up America quite a bit and you have to remember that the protagonists are not from there. It’s a fun film that may drag a little bit at times, but brings along with it quality writing and suspense. I’m always up for a good court case after all. The film starts with Peter losing a dog fight against a skilled pilot and crashing to his doom. As he is incredibly high up he takes the time to make one last call to command. There he speaks with a lady named June who tells him to man up and not give in so easily. He rejects her advice and makes a big speech before he crashes. Peter wakes up the next day and realizes that the money he paid for the air cushions was well worth it since he survived. He decides to get together with June, but that’s when the advocates of death arrive. Agent 71 explains that Peter should have died and it was simply an administrative error that caused him to live. Peter sues 71 for negligence and so they decide to take this matter up with the cosmic courts. Can Peter prove that he should be allowed to live for a few more decades or will he be booking a one ticket stop to his doom? I can’t say that I was a big fan of Peter to be honest. The guy just gave up way too easily and seems to be a glass half empty kind of fellow. He was given days to think about who to represent him in the trial and could choose from literally anyone, but he still can’t decide. He’s rather slow on the uptake and while he was confident at first, by the end he is basically begging for mercy. I don’t know what happened to this guy, but he could have handled this situation a whole lot better. June is a good heroine even if the romance between her and Peter is incredibly rushed. You never really find it all that believable since they fell for each other before even meeting. That’s a bit of a stretch right? June is willing to make the tough calls in order to help Peter and she also decides not to lie to him at the end so that was good. Frank is the local doctor and he handled the situation pretty well. His sci-fi table that lets him see the whole town was a bit of a stretch and at first I thought he was an inside agent but it shows that he is an unparalleled genius. He did a good job defending Peter in the court. Naturally I am on Peter’s side in this debate. Even if he only kept his life by accident he now should have the power to live it out. Correcting the mistake by destroying him wouldn’t be the right move. The back and forth was pretty interesting in the court although most of it wasn’t actually about this as it devolved into talking about how America keeps messing with everyone and that nobody likes Britain because they are always attacking people. Seeing them fight with the radio and everything else was definitely pretty fun. The other world does seem rather corrupt though so perhaps in a sequel there would be an uprising if it decided to go in as an action film. As I mentioned the writing is pretty solid. All of the characters sound reasonable and at least they try to back up their points. For the pacing, I think it may actually be towards the end where it drags on a bit. As I mentioned, they tend to diverge on their talking points in the court and as a result they stay off topic for a long time. It may be because there is only so much you can say about the actual case since it’s a pretty black and white yes or no, but I’m sure there are more nuances that could have been brought up. Slow burner or not, the plot is definitely pretty unique. It’s definitely a fun Utopia for everyone who died since they basically get to do whatever they want. I have to assume that there aren’t too many things to do during the day though judging by how many people attended the trial. Surely most of these guys wouldn’t actually care about something like that as long as they could play their sports or watch TV right? Maybe I’m underestimating these guys. 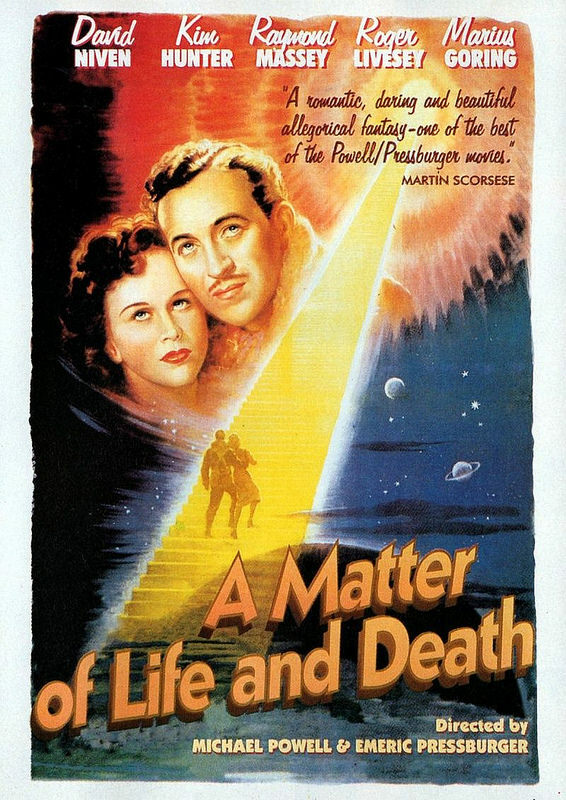 Overall, A Matter of Life and Death is a fun movie. The main message we can take from this is that you should not throw in the towel so easily. You always gotta try to make the emergency landing even if the odds don’t look great. Meanwhile, the surgeons looked pretty good at the end and so I don’t mind them believing that they are the reason that Peter is still around. What they did likely aided his chances of victory as well and it would have been ironic if he won the case, but then died if they messed up the surgery. Yeah…that would have been pretty dicey! So, I’d recommend checking this film out if you’re in the mood for a fun court case, just be prepared for it to be a long one with a little less fire than some of the other court cases we are used to. It’s time to look at a very retro mystery film. The cast is actually smaller than I thought it was as Wikipedia only lists 6 people in the film. Naturally, some of them may just not have been big enough to have their own section, but it goes to show that if the story is quick enough you won’t even notice this. It’s a solid movie that really does a good job of throwing in a lot of twists and turns without getting redundant. The cast is solid and this film really flies by. This review does have some big spoilers depending on what you count. It’s a big plot point that happens around halfway through the film so it’s pretty debatable. The basic premise of the film is that a lady by the name of Laura has been murdered. She went up against a shotgun and didn’t exactly win the encounter. A private eye known as Mark shows up to get to the bottom of this. Waldo wants justice because Laura was a close business associate of his and he had been helping her rise up the business ranks until this happened. Mark continues his investigation which leads him to Shelby, a rather suspicious man who has many affairs and always seems to be after people with money. This mystery will be a piece of cake for this baseball master, but unfortunately Mark starts to realize that this case is quite personal. Can he put his feelings aside or has he always been on a path to destruction? Ironically, the weakest character here may be Mark. Shelby is certainly more unlikable as he’s just a bad guy, but it’s incredibly difficult to sympathize with Mark’s plight. How can you possibly start to fall for a picture? If someone’s dead, they’re not exactly going to make for a very attractive prospect. What the film should have done was just doubled down on his tough demeanor to show that this guy was one detective who wouldn’t get pushed around by anyone. He would solve this case no matter how tough it got. By making him distracted it took away from his whole character. I did like his Baseball gimmick though. Right when he started taking out the game I knew that it would be the best part of his character. At least the detective doesn’t look downright bad for the most part. His only unfortunate moment was at the very end of the film where he assures Laura that she will be safe and then runs out of the building so fast that you’ll think he’s a blur. This gives the culprit plenty of time to waltz in and finish the job. Laura is just lucky that the villain is such a poor shot or else this could have been the end. Wait, why is Laura even being mentioned? Well, that’s one of the big plot points of the film. Laura isn’t actually dead and merely went to the forest for a while. Since these were the days before radio and internet nobody actually knew where she was and when they went to the house she had stepped out for a moment. Definitely some interesting logic there, but I can buy it to an extent as there wasn’t much else to do back in the day aside from walking so she may have just been adventuring all day. Laura isn’t a very likable character as she does lead everyone on and doesn’t even mind playing second fiddle after a while. It gets rather complicated, but she knows from the start that Shelby can’t be trusted and also allows Waldo to treat her to many meals. They may be platonic friends, but then she should pay the bill, otherwise things get dicey. She just seems rather easy and Mark should be careful what he’s getting himself into. Her web of deceit will continue to stretch farther and farther. As for Waldo, he’s certainly the most amusing character in the film. He’s always got a snappy comeback at the ready and certainly doesn’t get intimidated by anyone. To think that he started out as a rather snobbish businessman before he got involved with Laura and changed quite a bit. You can’t deny that the guy does his homework though. He didn’t even need to make up lies about the people Laura hung out with, he just dug up the dirt that they left around the house. They made his job easy, but he always went the extra mile. Naturally a person this obsessive tends to be fairly dangerous in films like these but if the detective is going to make a move he better be careful about it. Finally there is Shelby. It’s certainly different to see Vincent Price in a young role for a change. The character is fairly quick witted, but can never quite keep up with Waldo. He does make for a good rival though. He’s not exactly a man of principles, but isn’t ashamed to admit as much. Everyone knows what kind of a guy he is, but they don’t care because of his charisma. It’s definitely a credit to his character that he is able to deceive people so easily and he makes for a solid antagonist. The only weak aspect of this film is naturally the romance. It’s just not handled very well at all. Laura basically plays everyone and they all fall for the game quite easily. It would have been nice if the same had been true for them and at the end they all admitted to just manipulating the others for personal gain. That’s practically what the situation was for most of them anyway. A film like this one should have everyone stay purely platonic as that would certainly add to the suspense and make the characters look a little tougher and more savvy on how things usually play out here. Still, the writing was certainly great beyond that. The film did a good job of making everyone seem suspicious at times and having all of the characters stay on guard. The banter between all of the characters was on point as you would expect it to be. Dialogue is crucial for a noir film like this one and I’m happy to say that it did indeed deliver. It’s why its so hard to do a film like this one nowadays. The writing just isn’t up to par with the good ole days and it’s very rare that a film proves me wrong. 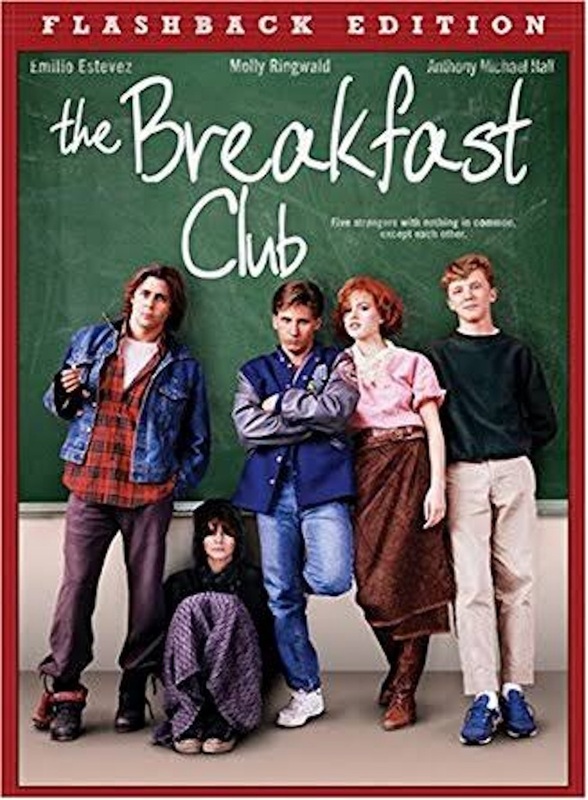 There were just higher standards in the past and that’s why there were so many well written films like this one hiding in the cracks of time. Overall, Laura is a really fun film. 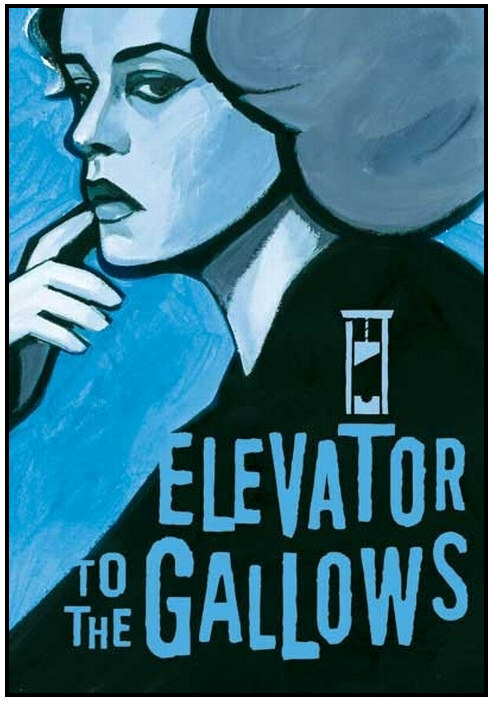 It’s a murder mystery that still has quite a bit of humor and solid pacing to go along with it. The romance is rather weak, but what else is new right? 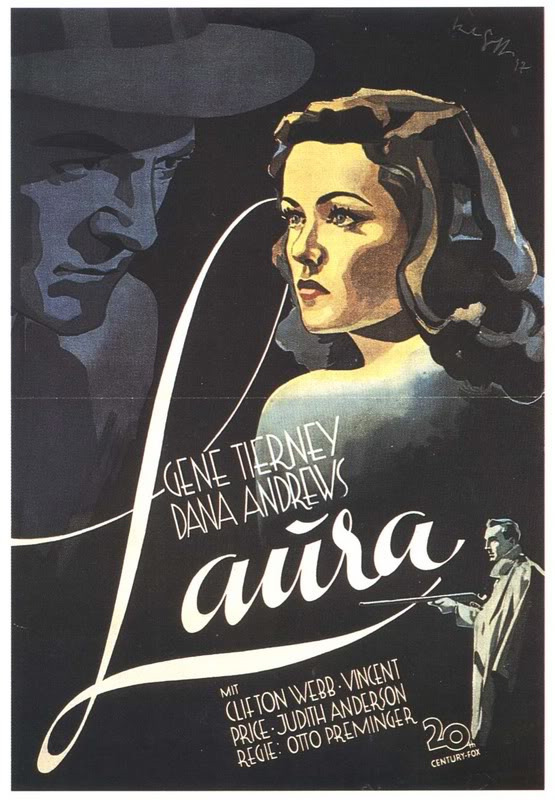 The twist of Laura being alive could have been rather disastrous if handled wrong, but since it rarely tends to happen the twist worked really well. I can definitely recommend this film to anyone who likes a little suspense and danger. There’s never a dull moment in this film so you’ll end up being on guard from start to finish. In a film like this one, you really can’t trust anyone. It’s time to take a look at a French murder thriller. It’s pretty rare that I see a film which isn’t American or Japanese so it’s always interesting to see how everyone else handles this. It’s a fairly old film as it’s still in the black and white period so as you’d expect the writing is on point. It is partially a romance film which can be rather dramatic, but the film’s at its best when an old guy shows up to mock the teenagers and their subplot. Time to learn more about this guy. So the film starts off with Julien and Florence recommitting their resolve to murdering her husband so Julien can be the rebound guy. He breaks in and murders the husband pretty easily, but then forgets his rope at the window ledge. He runs back after hours to get it, but as soon as he gets on the elevator the power goes out. He is now stuck with no way to get out and his only hope is that Florence will learn where he is. Meanwhile his car is stolen by Louis and Veronique as they decide to cruise around town. Unfortunately, they decide to commit murder under his name which will further complicate matters. Julien has to trick the cops into not pinning the first murder on him while also avoiding the fake charge of the second. It’s going to be a long day. From the start the movie makes it clear that the leads are the villains so you are rooting against them. As such, it’s actually pretty satisfying when the elevator crashes and things don’t go right for Julien. He dug his own grave and now he’ll have to get used to it. There’s not much that he can do from this point so you can’t really blame him for a lack of trying. He was the most experienced and talented member of the villains so taking him out of the equation worked well for the cops. He also held up well under interrogation, but eventually he cracked from lack of sleep. The cops always get their man. You don’t really see this form of interrogation too often, but it is quite effective as getting the suspect to concede their guilt. Physically nothing actually happens to the suspect, but he/she is kept from sleeping until the cops get the story they want. After even 1 day of this it can be tough to function so even the great Julien fell to the technique. You have to be careful about getting a false conviction like this though, but I guess the cops decided it was worth the risk. It did work out well here after all. Florence isn’t the greatest sidekick you could ask for. She further incriminates Julien by asking around for him everywhere. She was also fooled quite easily by Louis as she thought it was Julien who sped by her. I guess the jacket trick worked, but would Julien really betray her so easily? It may be poetic since she ditched her husband and now has some paranoia that Julien would do the same thing to her. She did a reasonable job of tracking down Louis and making threats, but then she didn’t do a thorough enough job of preventing them from leaving. That’s game over. Louis is unfortunately the worst character in the film. He is over the top with his many lies which is the only reason he and Veronique were caught. If he had played it cool or even somewhat calmly then he could have escaped. Instead he gets humiliated by a drunk, rich guy and then tries to steal his car. Not a very smart move and then shooting the couple just made an even bigger mess. He even messed up on trying to destroy himself with pills since he didn’t swallow enough of them. So much for that. You’ll be cringing whenever he is on screen. Veronique is a big improvement as she is also insane, but hides it well. She pretends not to want to go along with Louis’ plans, but always relents in the end. She just wants to keep up the appearance of being a good person even if it may not be all that accurate. My favorite character here was actually the rich guy who kept making fun of Louis. Making fun of the teen was reason enough to like him, but we also can’t forget that this guy saw through the ruse immediately. It’s too bad he underestimated how dangerous the villains were though. The scene of him and his friend getting shot was fairly tragic and probably the saddest scene in the film. I was hoping they were going to live through this since they were a lot of fun. Maybe not too smart in how they handled this, but fun all the same. It’s good to see the cops looking pretty good here though. They connect the dots between the crimes pretty quickly and then set their plans into motion. Once they nab the suspects it is all over for them. At first you may wonder what is taking them so long, but it’s all just because they are setting their pieces in motion. Getting all of the pieces into play so to speak. It would have been fun to have seen the Jury sentencing, but I suppose the ending gives you a clear enough idea of how it’s going to go down anyway. The pacing is pretty good. The only plot which probably drags on more than a little bit is Florence’s section. She goes through a great number of shops looking for Julien and after a while it is really just more of the same. You get the point of her search and we know that she stayed up all night so I think a few places could have been cut. The random drunk guy and his friend didn’t seem to serve much of a purpose, but maybe they were just there are red herrings or as world building. Either way, putting more screen time in the elevator plot could have been nice although I’m sure the film didn’t want to make that one feel stale. It’s a tough balancing act. Overall, This is an interesting film. The ending is very satisfying and probably the best part. The atmosphere is pretty good, but you can’t help but feel bad for the last two victims. It’s hard to be too sympathetic to the first guy since it’s at the very beginning and he was fairly shady anyway, but the other two characters were too hype to be bumped off the way that they were. The romance is pretty bad, but that’s how it is for all rebounds and it goes without saying why Louis’plot was iffy. I’d recommend checking this film out as a retro classic. There are quite a few plot lines going through the movie and it’s nice to see how they all connect. 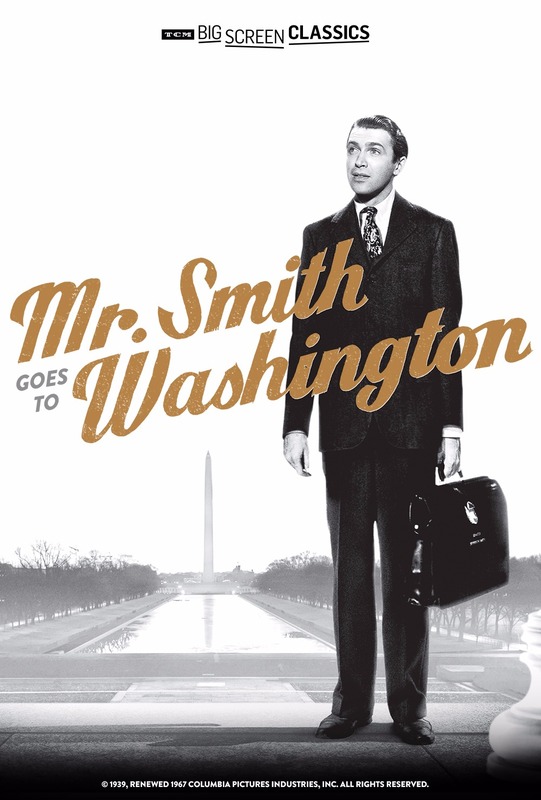 It’s time for a classic film that I’m sure everyone has heard of at some point or another. It’s a concept that is always fun to play around with as shrinking makes the world look even bigger. Honestly it’s not a super power that I would ever want to have because it just wouldn’t be as fun as the others. Being able to make snow would be far superior if you ask me and that’s something that I could get behind. Still, it’s not as if the lead asks for this ability in the film but he takes it so poorly that you have to wonder if this character was ever good to begin with. The film plays it off as if this ability slowly makes him grow worse and worse as a person, but really it just brought his true self out into the light. So, the plot starts with Scott and his wife Louise on a boat. They are on vacation, but Scott is as annoying as always and just wants to get drunk on as many beers as he can handle. Vacation ruined, they prepare to head back home when a UFO whizzes past them and blasts Scott with a bunch of radioactive material. He shrugs it off, but gradually notices that he is getting shorter. At first everyone denies it and cites crazy theories that you just shrink by a noticeable amount during the day so it’s all legit. After this is impossible to deny, the doctors work around the clock to create a cure while Scott decides to take out his frustration out on Louise. Will she trap him in a jar so that he can’t hurt anyone anymore or will the scientists have to give him a fake antidote to buy some time? A lot of tough decisions are on the table. The premise has potential even if it’s not a whole lot of potential. It could be a reasonably fun comedy like Honey I Shrunk The Kids or something. Instead, this film decides to play it straight and is so serious that it is borderline grim at times. Scott becomes such a villain in the film that he yells at his wife, stabs the cat, and even destroys a spider. If I said he was beyond redemption at this point it would be an understatement. I couldn’t stand his character by the end and he already showed signs of being bad from the start with how he ordered Louise to get him a beer. When she denied this he played it off as a joke but this guy is definitely a bad apple. Did I mention how he also starts getting ready to cheat on Louise with someone from the circus but his plans are dashed when he shrinks again? That’s just the kind of guy he is and it’s unfortunate since Louise is such a good, loyal person. She definitely deserved better than what she got in this film. Naturally none of these scenes are any fun to watch. Scott is basically acting like a bully only there isn’t anyone around to notice and call him out on it. Louise decides to just take it because she hopes he will be better soon. Although in my head canon I like to think that she purposefully let the cat inside and then shut the door to teach Scott a lesson. I was rooting for the cat by the way. 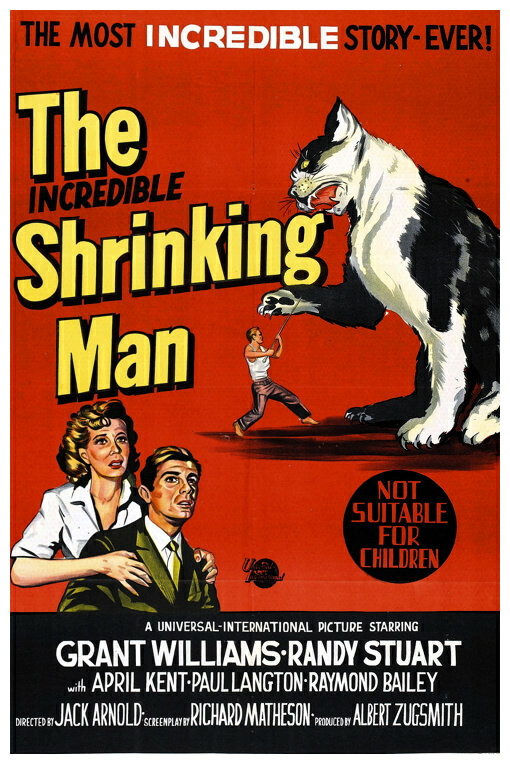 Fortunately the cat doesn’t die or get seriously injured but the film was definitely stressful for those scenes. Still, Scott later murders the spider in graphic detail which sent the film that had already jumped over the shark all the way over the cliff. It was game over. Game Set and Match. There was just no hope left for it. Mixing in animal violence is always a way to sour any recipe and this film is no exception. There just isn’t anything good about this film. Scott and Louise are basically the only two characters in the film. It feels rather low budget which would explain the small cast. Scott’s brother (in law? I forgot if they mentioned this or not) shows up once or twice to point out that Scott is acting petty and he should try getting some money for this. Scott denies because he just wants to see the world burn and in exchange the brother almost steps on him a few times by the end. The human interactions in these old films are usually the good parts, but it’s just hard to enjoy them. This is what a bad main character can do. He can wreck the rest of the movie just on account of how insufferable he is. The only positive thing I can say about the film is the ending. Granted, it’s because the ending has Scott get destroyed by his own ego as he shrinks away into nothingness, but I’ll accept that. Scott couldn’t be left alive by the end of the film. A life taken is a life lost after all so since he took down the spider I’m glad that the universe placed the scales back in order. We can’t let reckless villains like Scott do whatever they want. I have higher hopes for another installment in the franchise since Scott would no longer be around. What another film should play up more is the media angle. I want to see how the rest of the world handles this. There’s a lot of potential there as there always is when something supernatural happens in an otherwise ordinary world. I’d also like to see the main character get adjusted to his new situation and make the best of it. Moping for a little can be all right, but there has to come a time where you just make the best of it. Make a film like that and it could actually end up being quality confirmed. This goes without saying, but no animal violence either of course. Overall, in case you didn’t guess, I didn’t like Scott. He’s absolutely terrible and the same can be said for this film. He just makes every scene around him worse and I already said that so lets keep it moving. The animal violence didn’t help matters and you’ll just struggle to get through this movie. I highly recommend staying far away from this film. The only thing it’s good at is winning Razzi awards and as much as I would like to vote for this one, I probably couldn’t depending on what the competition is. Either way, if you want a film about someone who shrinks, check out Ant Man. I wasn’t the biggest fan of that movie either, but it’s still considerably better than this one. It’s always sad when you’re known as a chicken among the community. Just think of how rough it would be when it’s a small community so you are going to be seeing the same people everywhere. Well, that’s the case for our lead in this film (Luther) as everyone openly mocks him. It’s almost admirable how despite this he keeps adding for fuel to the flame. Panicking in the opening minutes certainly didn’t help his case. Well, the film starts off with our reporter in training driving down Main Street at night. He hears someone scream and comes across a dead body. The excitement starts to overwhelm him but before he can faint the main character stumbles over to the newspaper office/police office. Luther tries to explain what’s happening but goes hysterical so his colleagues have to insult and mock him a little bit to calm him down. Just as he tells them all about the murder, the “dead” guy shows up as he was apparently just hit on the head with a branch and fainted. Now Luther’s reputation has shattered even more. The newspaper is on tough times though so they need a scoop and have to take a break from mocking the main character. Their best bet is to send someone into the haunted house. Luther is essentially dared into going inside and he decides to do so to show everyone that he isn’t a total chicken. The problem is that ghosts keep messing with him and he even faints. On the verge of tears he tells everyone what happened, but can he prove that this was the case or will he also be known as a liar now? It’s definitely a really fun film. You don’t really see comedy films like this one anymore and it’s a shame since they work so well. You can’t sympathize with Luther but I suppose you can at least sympathize with the fact that he held his own in court and wasn’t humiliated as badly as I had thought he would be. He doesn’t do a great job of improving himself at all and is basically content with going through the same motions that he’s always gone through. It’s why he is perfect for the role. Ollie is definitely a pretty mean character who tries to undercut Luther at every corner. Still, he never gets too extreme and due to the nature of the film he can be pretty entertaining. If the plot was handled seriously then there is a good chance that he wouldn’t be likable at all but as it stands he was probably the best character in the film. You can make the case that he has more reason to dislike Luther than the other way around since from his point of view Luther took the main heroine away. Ollie also did offer to go into the haunted house with Luther, even if it was only to mock him. An underrated character is the head of the newspaper company. Not only is he one of the only characters who gives Luther a chance but he even defends the guy in court. Honestly you’ll just feel bad for him since he does a great job but then Luther keeps on sabotaging him. The supporting cast was just really good in this film and naturally that makes a big difference. The judge was also pretty fun and it made the scene of everyone going into the haunted house pretty fun. Actually it was pretty surreal to see the Judge come up with that plan. As for the ghost moments, I think it was safe to say that everyone probably guessed what the last second stinger would be. Ignoring that little moment I would have definitely said that there was nothing supernatural about the place. It was all things that could have been explained naturally after all. Even the painting although you have to suspend a lot of belief for Luther not noticing the blood would be fake. Well, it is Luther I guess. The plot with the corporate gangster trying to muscle in on the place and discredit Luther was a cool contrast since that plot was played completely seriously, the guy wasn’t afraid to destroy Luther either if necessary which made for an intense final fight. You rarely see these rich business types actually enter the realm of combat themselves nowadays so that was certainly unexpected. It helped give the film some action to balance out the comedy and it worked quite well. I have to say that the romance was pretty weak though and the only underwhelming part of the film. For starters, Alma was seemingly already taken with the rival Ollie but it didn’t stop Luther from flirting and hoping they could be together. Sure, later on in the film she says that they weren’t really together and all, but given how the had apparently been eating lunch every day, driving together, and Ollie had been calling her things like Sweetheart which she was fine with….it seemed rather clear what was going on. Even Ollie was shocked when she basically ditched him out of nowhere. It’s nice for Luther that if all worked out but this is definitely not how you build a romance. It really just fell flat and took up too much time. Overall, This was a really fun film. The humor was on point and the cast was pretty good. The tension of whether the mansion was really haunted or not will be tearing you up inside until they announce the verdict. Ollie is a fun rival and gets a lot of standout lines while Luther’s panicking is always pretty intense. If you haven’t seen this film yet then I would definitely recommend it. It’s not the most popular movie out there but it can definitely hold its own against any big comedy film. It’s time for a retro film that is rather iconic. I guess I should say that the Phantom of the Opera is rather iconic to be precise. It has had many adaptions on just about every medium over the years, but this is the first one that I’ve checked out. (Pretty sure) It’s a decent enough story with some fun characters and okay dialogue, but it doesn’t stand out as one of the all time greats or even as a super solid story. It gets you through the film all right and the pacing is good, but I would have liked the main character to have stopped leading everyone on by the end. 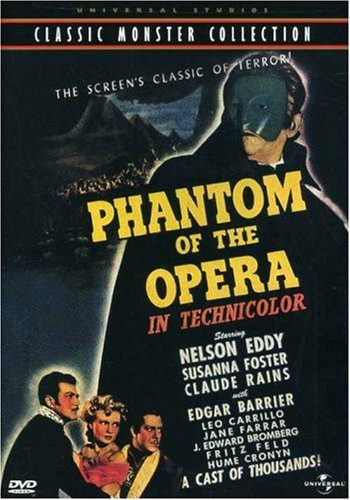 The story starts off with the Phantom being kicked off the opera because his hands are going bad and he can’t play well anymore. While he should have been rich since he served for 20 years, he spent all his money getting lessons for a girl named Christine. She doesn’t even know that he is providing the lessons for her and believes that she is getting them for free. While the Phantom is at least 20 years older than her, he wants her to be with him, but lacks the courage to say so. In the meantime, he will help her as much as possible from the shadows so she will owe him later in life. He realizes that if the opera won’t let her be the lead singer on their own, he’ll have to take the top singers out of the picture and threaten the opera into making the switch. It’s a classic story of a villain thinking that since he is doing nice things for someone, they have to reciprocate. The whole situation is also his fault as he mistakenly thinks that someone stole his song and murders a guy for it. (Not even the guy that he thought stole his song) As a result his face is half burned off and he is forced into hiding. Fortunately for him, the Phantom is a master of hand to hand combat and has a surprising amount of physical strength. He murders a bunch of people with ease and the film hints that he could have taken on the two male leads as well before losing to a cave in. He’s not a very good/interesting villain, but at least the design worked rather well. Who doesn’t like the simplicity of a cape and mask combo? It’s why Batman got so popular. I do have some issues with the main heroine though as she was annoying throughout the film. Christine has a lot of admirers as you can tell by now. The main two are Anatole and Raoul. She knows that they are both interested in her, but decides to play the field. She goes out to dinner and accepts flowers/gifts from both of them. She notices that they constantly fight over her, but seems to thrive on the attention. It’s rather inconsiderate of her, but that’s consistent in the film. She is not upset at all to learn that the main singer was poisoned and even celebrates in front of everyone since she will now have a chance to be on the big stage. There’s nothing really heroic about her and she even feels bad for the Phantom at the end. Sure he murdered a bunch of people, but he liked her so he couldn’t have been a bad person. You have to take a double take at her reasoning there since it’s rather outlandish. She was glad he got to hear his music one last time while I think it would have been poetic if he had gotten caved in before hearing it. That’s just me though. While Christine is leading them on, I can’t feel bad for Raoul and Anatole since they know it. It’s hard to say who the better character is, but I’ll give Anatole the edge. At least he does know music and is a professional. He’s polite and ultimately has the better plan which ends up capturing the Phantom. On the other side, Raoul’s plan ends up failing and he seems to enjoy her musical career a little less. He basically wanted her to retire when he first showed up which instantly signals a bunch of warning bells. Fortunately, one of the higher ups told Christine that music is more important than anything else and it seems like she has decided to follow that advice. The character roster is small, but that means they all got a lot of screen time. The film’s writing was pretty solid as well. While I didn’t care for the characters as much as in some of the other retro films, the script was still on point. I enjoyed all of the sarcastic/passive aggressive banter from all of the characters. Most of them did not get along in the slightest, but they were very subtle about it. The humor may not have been a great success, but it was also handled very mildly so it didn’t get irritating or go in the way of the story. 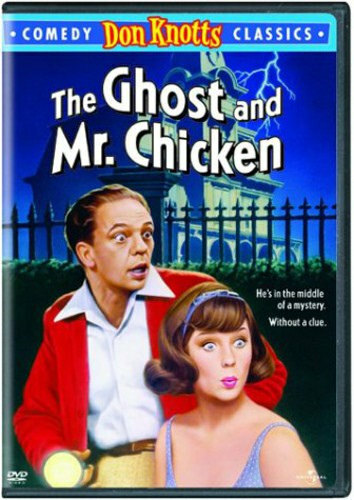 The main comedy angle was that one character believed that a ghost was causing all of the trouble and would constantly describe him by pulling out his nose and imagining a beard. I forgot why, but he would never want to refer to the ghost by name. Perhaps he thought people would make fun of him, but the ones that he did tell took it pretty seriously for the most part. There was only one guy who disagreed and that’s not bad considering that I thought everyone would make fun of him for it. Overall, This is a fairly good film. It’s not the greatest out there, but it was enjoyable during the run. As I mentioned, it’s rather short as well so the pacing is on point. It’s cool to see just how large an opera house is. I imagine that it would be difficult to find a criminal since there are 2500 rooms and he can keep hiding in different ones. Hopefully this will teach the Opera staff not to put the Master Key in an unlocked drawer in the main room that anyone can break into. Especially since their ex staff member was the main suspect of a crime and everyone knew about it. These guys just didn’t think ahead. The actual plays in the film didn’t seem all that interesting, but fortunately they never got all that much screen time at all. With a better cast, this film would get another star. As it is, I’d recommend checking it out. There’s not much to the film, but sometimes that makes it easier to watch. The plot is as simple as can be so you can just follow the journey from start to finish without thinking about it much.